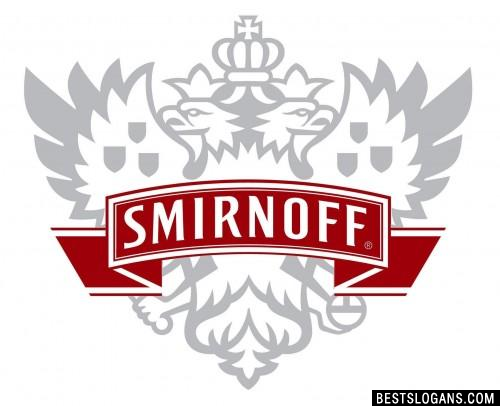 7 new entries added to smirnoff slogans, that include pictures. 1. He's clearly discovered Smirnoff. 1 He's clearly discovered Smirnoff. 3 The greatest name in Vodka. 4 There's vodka and then there's Smirnoff. 6 Smirnoff. Not the usual. Can you think of a good Smirnoff Slogans we're missing? Or come up with a clever one of your own. Please share below.